Composed by Southern Harmony. Arranged by James Gilbert. Christian, Contemporary Christian, Gospel, Sacred. 9 pages. 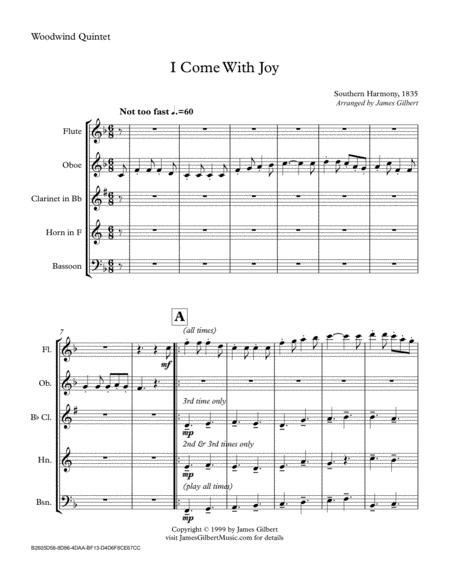 Published by James Gilbert Music (S0.38871). 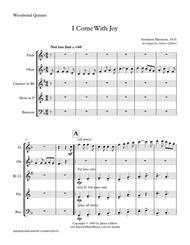 For Woodwind Quintet (Flute Oboe Clarinet Horn Bassoon). An upbeat fun arrangement of this familiar hymn often used in communion services. Includes transposed substitute parts for Trumpet Alto saxophone Tenor Saxophone.